Bogotá is full of green walls. Livingroofs.org‘s Dusty Gedge has just returned from the Colombian capital. The city has definitely embraced green walls big time. 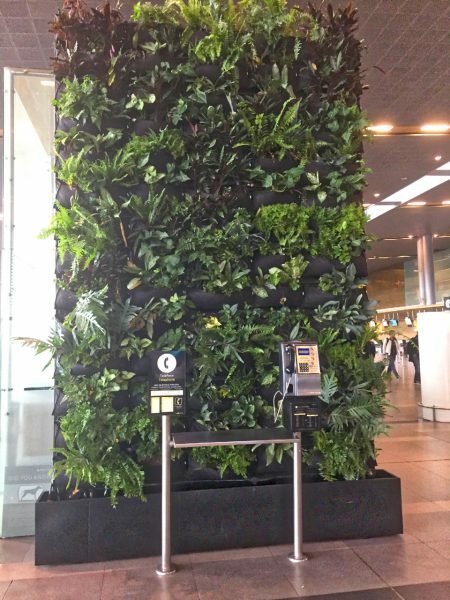 When he left, the big news in the UK was that London Heathrow had just installed its first interior green wall. Well, El Dorado Airport, Bogotá, has about 14 interior green walls installed already, with several more under construction. Notwithstanding the range of interior green walls at the airport, there are plenty of exterior ones too. 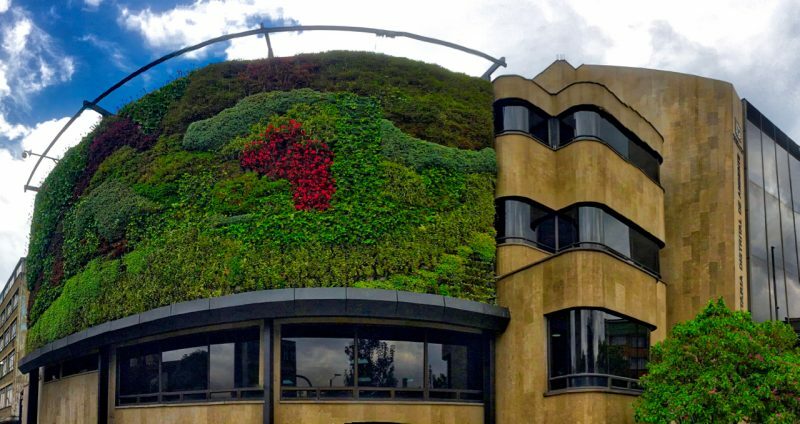 As a matter of fact, Bogotá has the second tallest green wall in the world after India. The Santalaia project is a high-end development whose eight storeys are completely wrapped in green walls. 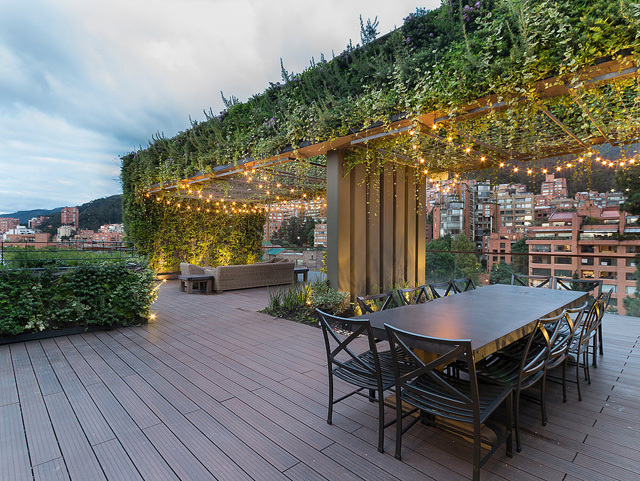 Though large green walls can get a lot of attention, there are plenty of smaller ones in Bogotá. Connecta, a new high-end development complex, has smaller green walls both inside and out. The entrance porch and the new buildings have green walls dripping from their façades. 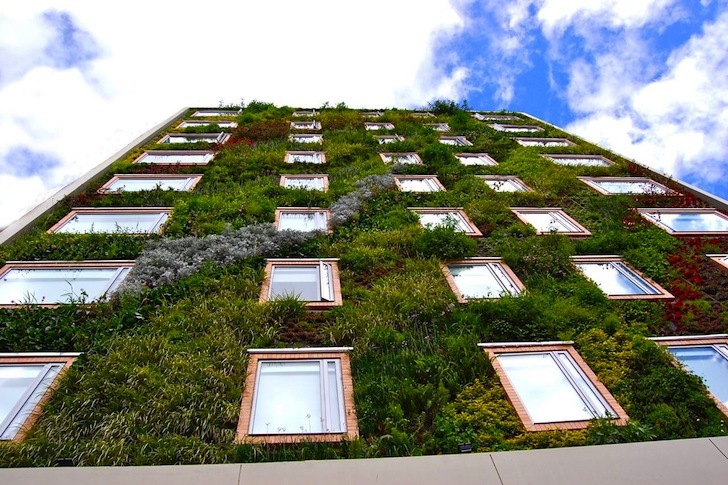 As in London, several hotels have embraced the green wall concept. These include both the Click Clack and Hotel Virrey, which has more than 25,000 plants on its eight-storey-high walls. Many of the offices, shops and bars that Dusty visited also had green walls on or inside their premises. 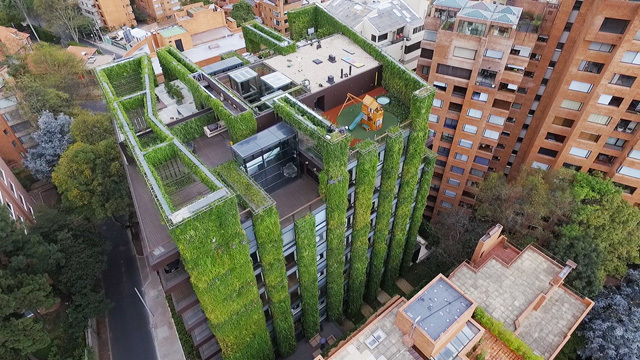 Even the city’s Environment Ministry (Secretaria Distrial de Ambiente) sets an example with a large green wall. 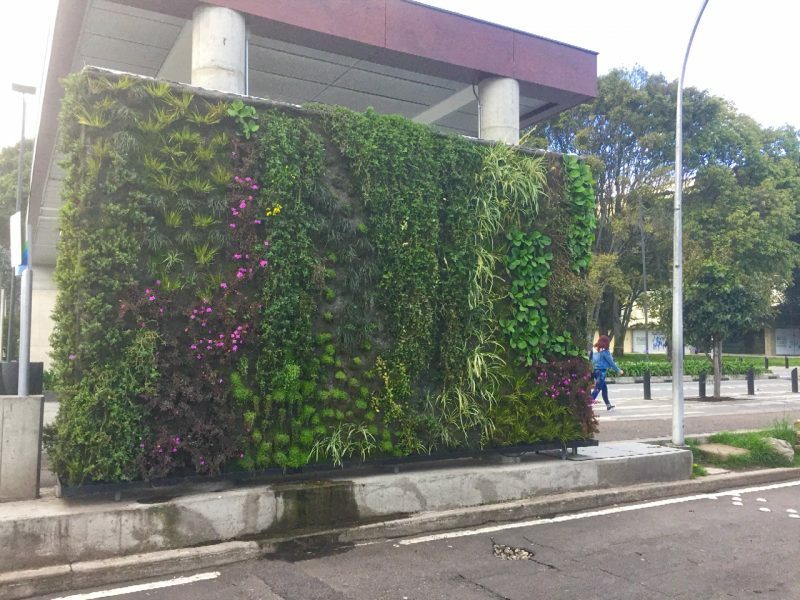 So the city of Bogotá is definitely a front-runner as a green wall capital in Latin America – and perhaps even the world.